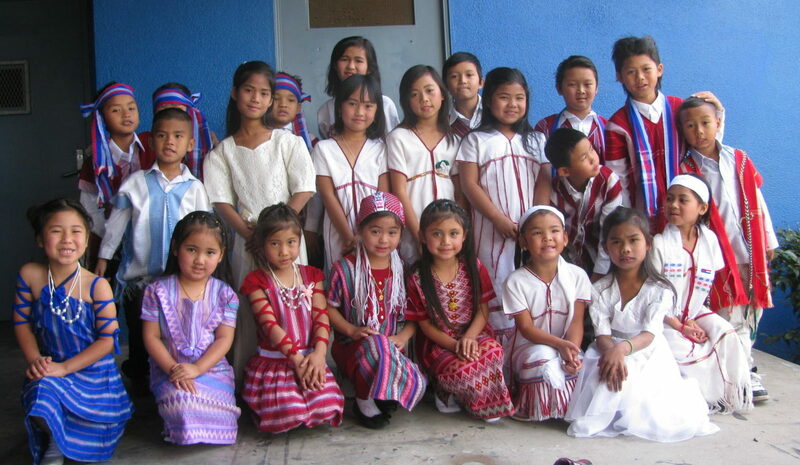 Children dressed in traditional clothes; many families are served by RefugeeNet, a local nonprofit that helps new Americans. A peaceful place apart, this 256 acre retreat center near the former gold mining town of Julian is open for church groups, individuals, classes, fellowship groups and more for week-long or weekend retreats. An institution of this diocese for over 50 years, it serves as a model of ecological responsibility and helps us reclaim active stewardship of God’s creation. Click here for more information on its programs or visit their website. Episcopal Community Services (ECS) was founded in 1927 as the outreach arm of the Diocese of San Diego. Our long-standing mission of serving God by serving those in need through programs that foster hope, dignity and independence is fulfilled by compassionate churches, generous donors and faithful volunteers to improve the lives of thousands of children and adults every day. For more information, visit their website or watch the videos below. RefugeeNet, formerly known as the Episcopal Refugee Network, assists refugees as they arrive under the auspices of the United Nations High Commissioner on Refugees (UNHCR), the US Department of State and other receiving agencies. To learn more, visit their website. Vida Joven is a foster home for children whose parents are incarcerated or otherwise unable to care for them. The home is located in Tijuana, Mexico, just a short drive from the US border. Vida Joven cares for, educates, clothes, feeds and loves children the world has discarded. Learn more. Episcopal Relief & Development works with Church partners and other local organizations to rebuild after disasters and empower people to create lasting solutions that fight poverty, hunger and disease. Working in close to 40 countries, our programs impact the lives of approximately 3 million people around the world. Learn more. PACE is a managed health care plan exclusively for seniors, and it is free with Medi-Cal. Even medications are free. PACE supports seniors so they can live independently at home by providing in-home care, transportation and personalized medical services. People over 55 years of age with chronic medical conditions are ideal partners for PACE. Learn more. The following are also institutions of the diocese. Next to Heritage Park and the Mission San Luis Rey is the historic Episcopal All Saints Cemetery, founded in 1888. For inquiries, please contact Greg Gleason, 760-630-0660. As an independent, college preparatory school for students in grades six through twelve, Bishop’s believes that certain skills, knowledge, and the ability to reason are necessary to meet the demands of a college education and to benefit from it. The School’s affiliation with the Episcopal Church reflects the belief that knowledge combined with a spiritual awareness better enables students to function as caring, effective adults in today’s world. At Bishop’s, the focus is on developing the whole person. Campus Ministry offers college students and young adults opportunities for fellowship, friendship, inspiration, learning, reflection and worship through personal relationships, small and large group activities, and spirit-renewing retreats & conferences. Click here for more information on this ministry and how to connect with it. The Mission to Seafarers is part of a worldwide network of chaplains, lay staff, and volunteers working for the welfare of seafarers of all races and creeds in over 300 ports. For specific information about this ministry and volunteer opportunities, please contact the Port Chaplian: the Rev. Robert Crafts, MD, Captain, Medical Corps, US Navy, retired.